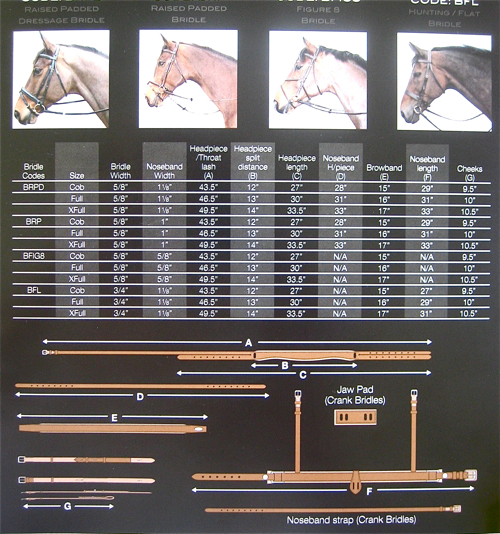 See all Jaguar Equestrian Products. Beautifully handcrafted English leather, superior workmanship and the highest quality by renowned master saddle maker Harry Dabbs. Superior fit; traditional craftsmanship and the finest English leather and hardware are the hall marks of Jaguar’s bridlework & accessories. 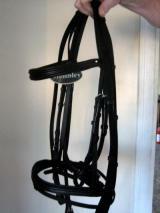 Want a matching bridle and reins? Click here to shop the full Jaguar Equestrian line. Colors: Autumn Gold or Havana. TheHorseStudio.com Copyrighted Review: Sturdy and durable, beautifully finished and of the best quality leather, Harry Dabbs has worked some serious magic with the Jaguar Equestrian line. I loved all the compliments I received at the Hunter Pace for how my horse looked and performed in this well fitting line (matching eventa reins and flat bridle completed his ensemble). Loved the adjustability and ridiculously deluxe leather that is well finished to ensure durability. Horse Snaffle Bridle The Bonn. Imported from Germany. Black. 3 left.